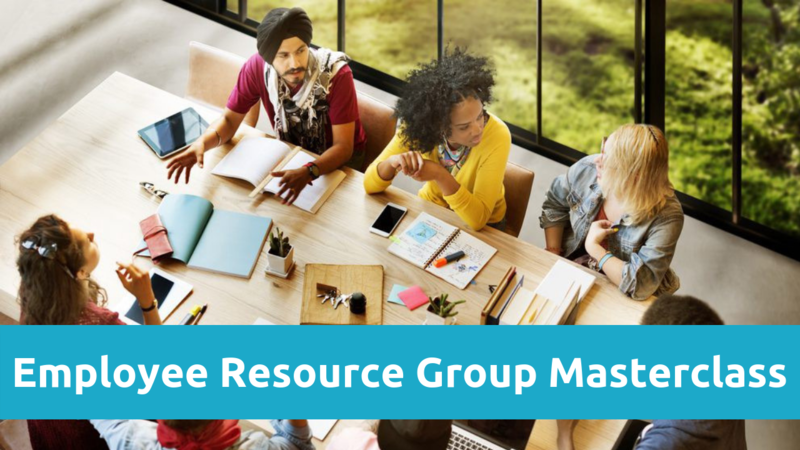 The masterclass was hosted live on Thursday 22 November 2018 and over 2 hours we shared best practices and cases studies on how to launch and leverage Employee Resource Groups so that you can keep employees engaged and motivated by giving them a sense of inclusion. 1. Gain critical community building best practices that all D&I leaders should know & live by so that they can avoid making mistakes and accelerate the impact of your ERGs. 2. Learn how to monitor and evaluate the ERGs impact using our 3-step PROVE IT methodology so that you can promote ERG successes to senior leaders and generate further enthusiasm and support. 3. Understand why you need to apply powerful collaboration approaches to your ERG strategy & plan so that you can create self sufficient and thriving community.